A month may have passed since Hurricane Harvey swept across the Texas Gulf coast, but its affects still linger in the homes of many Houstonians. Countless families are in the process of recovery, trying to return to normal life. Some, however, do not have family to lean on during these trying times. This was the case for one Houston-area widow, whose house sustained severe water damage. Hearts & Hammers, a volunteer program run by the First Colony Church of Christ, reached out to the Houston-area community in search of helping hands. Two Viceroy team members, Timothy Hoch, IT/Innovation Leader and Shawn Kelly, IT Systems Coordinator answered the call. 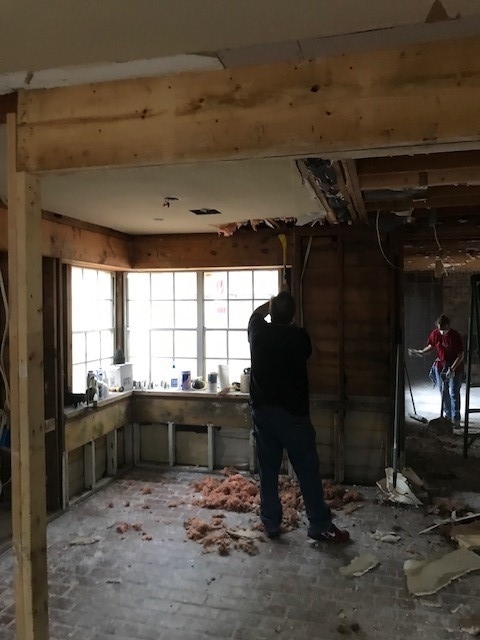 On September 28th, they went to the woman’s home and joined a small team that helped prepare it for repair, removing drywall from walls and ceilings throughout the house. Because of their tireless efforts, the woman is now closer to having her home back to normal. APM + APCom has high-held values of service and integrity and commends our employees who go above and beyond to give unconditionally to others. Timothy and Shawn, the APM + APCom team thanks you for your contribution to this noble cause!